Vermont sent far more sharpshooters to the Union armies than any other state, on a per capita basis. By the hundreds, Vermont marksmen passed the rigorous marksmanship test to join one of three Vermont companies. And sharpshooters from this state played a little-known but major role at Gettysburg, the great Union victory that changed the Civil War’s course. 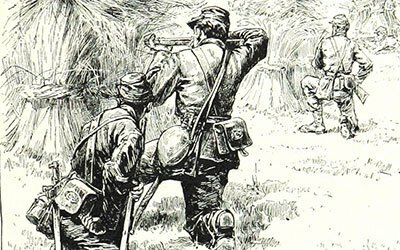 Historian Howard Coffin will discuss his recent research into this little-recognized group and consider the reasons why Vermont may have been so well represented in this elite group of marksmen.